Despite her current battle with breast cancer, the 78-year-old soul survivor is still defying odds and maintaining the same kickass tude that has gotten her through life. 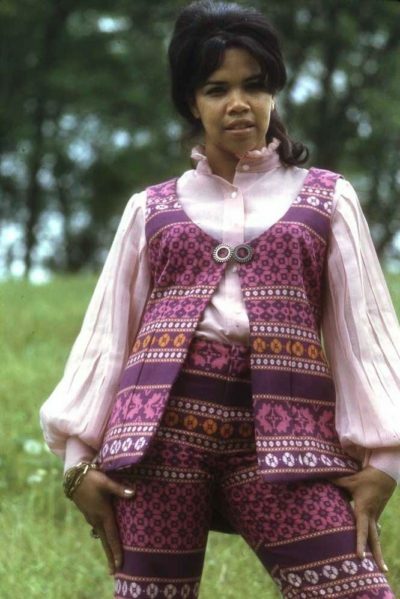 Candi Staton is built tough, but this might very well be an understatement. She began singing while still in grade school and has led a life that has been less than stellar. The Alabama-born songstress, who has had more than her fair share of childhood trauma, addictions, domestic abuse, heartbreak-times-ten, record label legal battles and now, a breast cancer diagnosis, has refused to allow any of life’s hardballs to knock her off her mark. Candi has continued to record; “Unstoppable,” her latest work is an anthem of hard-earned persistence and survival. In addition, she has been an advocate for domestic violence and sexual abuse survivors. Despite her current health battle, the 78-year-old soul survivor is still unstoppable, still defying odds and still maintaining the same kickass tude that has gotten her through life’s bad and oh-so-uglies! 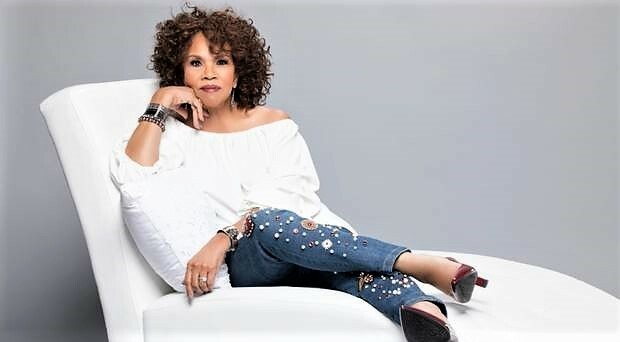 The also still beautiful, two-time Grammy-nominated performer whose signature hits, “Young Hearts Run Free,” “Victim” and “When You Wake Up Tomorrow,” still makes us wanna get up and shake what our mama’s gave us, didn’t hold anything back as she chatted with me. 50BOLD: First of all, blessings to you, and may God continue to give you strength as you go through your rounds of treatment for your breast cancer diagnosis. Candi: Thank you so much! 50BOLD: You’ve had an amazing career. Did you work the chitlin’ circuit? Candi: Most of my career was in the chitlin’ circuit; you know, those backwoods, R&B juke joint-type establishments with bad dressing rooms and hecklers! I’d do shows, then, have to chase the promoters to get paid! 50BOLD: Young people don’t realize the historical importance of the chitlin’ circuit to entertainers from the 40s, 50s, and 60s era because this was how they made their living. Candi: The chitlin’ circuit was the only way we, as entertainers, could make a living. 50BOLD: Black entertainers truly supported each other during those difficult times. Candi: Yes, they really, really did offer support to one another. 50BOLD: Your given name is Canzetta Staton. Was Candi a childhood nickname or a stage name? Candi: Let me tell you how I was given the name Candi. My sister Maggie, a childhood friend, Naomi, and I were singing gospel music back in the late 40s and early 50s. We called ourselves, The Jewell Gospel Trio. We were so young, but harmonized beautifully. I was 12-years-old, Naomi was 9, and Maggie was about 14; we just loved singing together. We were underprivileged children and the church provided us with everything we needed as we sang from church-to-church. The more we performed at various churches, the more we began to get recognized. Our church decided to send us on a tour and as a result we performed with such greats as The Soul Stirrers and Lou Rawls. Oh yes, we’d perform with all of the top-notch gospel acts. On one occasion, we were at the Apollo Theater in New York City waiting to perform and Mavis Staples was also in attendance. Mavis and I eventually grew pretty close. When I first told Mavis my name, Canzetta, she thought it was too hard to remember, so she suggested Candi and the name just stuck. 50BOLD: So Mavis Staples actually gave you the name Candi. Candi: Yes, Mavis nicknamed me Candi. Soon everyone just followed suit and began calling me little Candi. Candi: I knew Frankie very well. In fact he let me co-host a radio show with him (laughs). I got a chance to speak with him a few months before he passed away from pancreatic cancer. Frankie would share with me about the pains and discomfort he was experiencing at the time. 50BOLD: Where were you were born and where did you grow up? Candi: I was born in Hanceville, Alabama, a slave town. We remained in Hanceville for a while and then moved to Cleveland, Ohio. My father and mother separated for a while. My dad was an alcoholic and he was also abusive. 50BOLD: You had roots in gospel music and you sang in the church choir. What was the motivating factor that made you want to pursue a singing career? Candi: I had not thought about singing a lot. I didn’t have a picture of someone, as young as I, singing. On every fifth Sunday, all of the churches and choirs from the surrounding areas gathered to sing on the grounds of a particular church. One Sunday, there was a group of young girls who sang and just blew me away. The group remained with me spiritually and became my inspiration to want to sing. So one day my mother and I attended a holiness revival. The songs featured at the revival, along with the instruments that accompanied them were so, so powerful. All of a sudden I felt the urge to sing, it just sort of came out! 50BOLD: What an amazing story! So, you were inspired to sing by all you had witnessed at the revival. Candi: Yes, yes, I discovered my singing voice at that revival! 50BOLD: How old were you when you made your singing discovery? Candi: I was probably around 6-years-old. 50BOLD: You began singing with The Jewell Gospel Trio when you became a teenager. 50BOLD: It sounds as if you had done a lot of traveling at a young age because you mentioned the Apollo Theater earlier. Did you also appear in talent shows? Candi: Yes, we traveled when we were young and participated in talent shows as well. There were talent shows held every Tuesday night. My brother would take us to the venues to sign us up. When we’d perform at these talent shows, we tore the place up! Candi: Yes! We tore the roof off the place! 50BOLD: I did a little research on you and discovered that you came from a somewhat dysfunctional home. You mentioned your father, was he an alcoholic? 50BOLD: Why did you leave your gospel group? Candi: I don’t know. I stayed with The Jewell Trio until I was about 18. Things got rough and being in the group was not as much fun as when we were kids. I had visited practically every city in the United States. I missed my Mom, my family, so I left the group, went back home to Alabama and was just in time for my last year of high school. After arriving back home, I realized that everyone and everything was so laid back and kinda slow, it was real country living. I was used to riding around. I was used to just being on-the-go. I became bored. I tell young people all the time to not get so bored that they get themselves in trouble. So, I met this guy who owned a NEW car! He was a smooth talker, took me places, and bought me hamburgers. I knew our relationship wasn’t going to last long so, I just took advantage of it. Candi: He was a couple of years older. I wound up getting pregnant and got married. My mother made me marry him. You know how country people are so old-fashioned. 50BOLD: Yes, I know how country folks are indeed. 50BOLD: You had your first child at age 18? Candi: I was 19 when I had my first child. 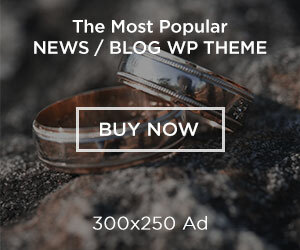 50BOLD: I read that you got married six times, is this factual? Candi: No, I have not been married six times. (laugh) I’ve been married about four times…1, 2, 3, 4…. 50BOLD: According to my research you got married six times. Are you saying the number is less than six? I am familiar with two of your marriages, one was to singer, songwriter, producer, Clarence Carter, and the other was to the former professional baseball center fielder, Otis Nixon. Candi: Oh, Otis! I forgot about Otis (laughter). I only stayed with Otis for about 18 months; he was not right for me. 50BOLD: Was your first marriage to promoter Jimmy James? Candi: No, I was not married to Jimmy. After Clarence, Jimmy came into my life. He was a pimp, promoter and lied his way into my life. He set up a fake marriage. 50BOLD: Was Jimmy James abusive to you? 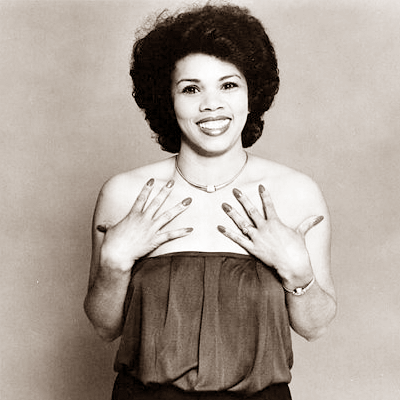 50BOLD: It sounds to me like Ms. Candi Staton has made some pretty bad love choices along the way. Candi: What you’re saying is the understatement of the year. All of my love relationships were bad choices and I’ve made them all my life. 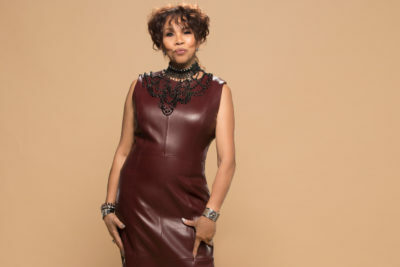 50BOLD: So when did Candi Staton finally decide to grab the reigns of her own life to become that independent woman, she had always wanted to be? Candi: I think the older you get and the more experiences you have, life unfolds in so many different colors. Sometimes, you go around so many curves in life. You fail to see all that is happening in your world until you wake up one day. Finally and hopefully, there is that fateful day when you ask yourself, “When am I going to live the rest of my life for me? When am I going to enjoy me?” I needed to love myself; this is key! So many women fail to love themselves; they’re looking for someone to love them. 50BOLD: Do you think your father’s alcoholism and your dysfunctional household, somehow contributed to the decisions you’ve made romantically? Sometimes women look for father figures as mates. Candi: I don’t know; there is probably some truth in what you’re stating. I was looking for a real man. A real man! I’ve proclaimed on stage during a few of my performances that I wound up marrying the same guy but he just had on a different suit. I married the very same guy, over and over again. You know, sometimes you tend to go with what’s familiar. I’ve met all kinds of good, decent guys but sometimes they just didn’t talk enough, weren’t flashy or fun enough. I want fun. Candi: The nice guys weren’t my type. I realized my type was the wrong type. When I finally decided to think about my situation, I realized that I did everything for these men. They came into my life because I had an image. They wanted Candi Staton. They wanted everything in my life. They wanted to be relevant too. They did not have the things in their lives that would make them stand out, so they stepped into my life and suddenly, they were Candi Staton’s husband! 50BOLD: Now you’ve been called the “First Lady of Southern Soul.” How did that title come about and who gave it to you? 50BOLD: Much of your music has a really gritty, down-home, story-telling kind of feel to it. How do you describe your music? Candi: I will give it to you, as Ray Charles gave it to me. We were performing at a theater together. I used to go down to Ray’s dressing room and we’d drink some amaretto and coffee together. One day he said to me, “You know, you’re the female Ray Charles, right? You can sing gospel, country and R&B, all of these are just wrapped up in your soul. You can do it all!” Ray paid me a major compliment; I felt 10 feet tall when I left his dressing room. 50BOLD: Being that you were in abusive situations in many cases, how did you manage to still get on stage and perform? Candi: Well singing and performing on stage helped me to push through, doing so was my therapy. I could actually forget all of the drama that I had just gone through just by picking up a mic. 50BOLD: We discussed how your father was an alcoholic but you too, developed a problem with alcohol. Candi: Yes, I did have an alcohol problem. As a matter of fact, my father was the first person to give me a drink. I was nine-years-old when I got drunk with him. 50BOLD: You got drunk as a young child with your father? Candi: Yes I did. My father put the whiskey in hot water with sugar and told me to drink it. The beverage was called a hot toddy. I have to tell you, I was my father’s favorite child. I look a lot like him. He was drinking out of the bottle and I was drinking out of a cup. When my mother found out he had given me liquor she became angry; they argued. I did not drink again until I signed with Capitol Records. 50BOLD: So you drank as an adult as well. When did you realize you had hit rock bottom? Candi: I was drinking really, really bad for about 13 years and it began to affect my performances but I just didn’t recognize it. I thought I was doing a great job but when I look back and listen to some of the tapes I have, I sound horrible. I had tried a little cocaine, a little weed; I tried a little of everything. However, my staple was alcohol. I thought I could deal with alcohol; I couldn’t deal with anything else. Cocaine made my nose bleed. Weed just made me feel too relaxed. I nearly missed a performance at the Apollo Theater because Bobby Womack gave me some weed. I was so mad at Bobby because by the time I got to the stage the band was playing the last chord of my song! I only had ten minutes left to perform! I basically went on stage and said “Hello,” and then “Good-Bye!” When I went backstage, I gave Bobby a piece of my mind. He just fell out laughing. Bobby was such a jokester. 50BOLD: Are you in a good place, right now, no drugs, and no alcohol? Candi: I am in a wonderful place now! I even have a book out that discusses all the things that we’ve touched upon. I am good now. The book is called Young Hearts Run Free. 50BOLD: So if you don’t mind, let me get back to the original question. There had to be something that inspired you to just stop with the vices. Candi: Well, the drinking, drugs, everything came to a close when my mother passed away. I remember the morning of her passing; I was in New York. My sister Maggie called to inform me that my mother was dying. I asked if I could speak to my mother. Maggie put the phone to my mother’s ear and I said, “Hello Mama. How are you doing? Do you want me to come home?” My mother told me to stay put because she “done fixed it up with Jesus.” She also told me how I was going to be all right. Suddenly, I felt something happening to me. I remember it so well. My mother’s death was a turning point in my life. My mother’s prayers for me were with me, and there was no way I could continue to live my old life. I was jogging one day and my feet kept felt lighter and lighter and I heard the Lord say, “Your life is about to change!” And shortly thereafter, I gave my heart to the Lord. I went back to church and it has been 25 or 30 years since my life changed dramatically. I have 13 gospel albums. I have appeared on television shows, wrote an autobiography and so much more. The rewrite of my autobiography is also upcoming. I have five children, 18 grandchildren, and 17 great-grandchildren. 50BOLD: You are battling breast cancer. Candi: Yes. I detected the lump myself via early detection. My advice to all women is to examine yourselves and make sure to get a yearly mammogram. Breast cancer can strike at any age; make sure to get your breasts examined by your doctor. I have a breast cancer stage two diagnosis, and I’m undergoing treatment (Editor’s note: At press time, Candi was still undergoing treatment). I also want to let women know that when it comes to your health don’t keep an illness a secret, get the medical help you need. Keeping a positive mental attitude and believing that you’re going to beat your illness is so important. I keep repeating to myself, “I am going to beat it. I’m going to beat it. I am strong and unstoppable!” Prayer is also so very important, whatever you do, pray, keep God in your life! 50BOLD: You have a website? 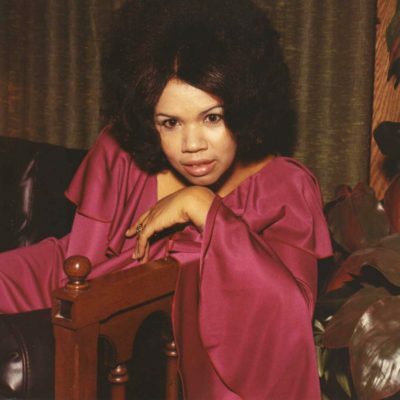 50BOLD: Candi Staton, you are fascinating and it was indeed a pleasure; we will hold you up in prayer. Author Leon Goodman hosted the Lou Rawls Parade of Stars for several years. A retired human resources executive, he is currently an actor who has appeared on such TV shows as Blacklist and Bull. He can be seen in the upcoming feature films, John Wick 3: Parabellum starring Keanu Reeves and Halle Berry, as well as The Drummer starring Danny Glover. Leon was recently featured in a three-part profile in Humans of New York/Facebook and on Instagram @humansofny. Next articleWe love…poetry by Leonard A. Slade, Jr.